Primp Junktion: Silver Platter Giveaway and a Winner! Today she is offering this beautiful silver platter to one of my lucky followers! It measures over a foot long and is over 9 inches wide. It is a vintage silver plate by Gorham and is estimated to be between 30-50 years old. I could see this right now sitting on my table filled with mini pumpkins. Christa has a beautiful shop filled with lots of yummy vintage goodness. Not only are her items beautiful, but her styling and photos are stunning! Each entry counts as one chance to win and anyone in the USA can enter! (Sorry, no international entrants.) This giveaway will run through Mon. Oct 24th. Winner will be announced Tuesday the 25th! 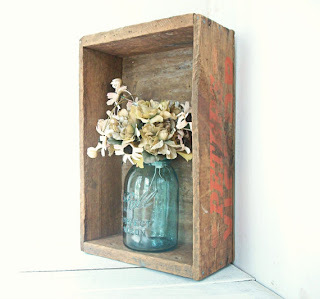 I 'favorited' C&C's etsy shop! P.P.S. Come back tonight for the start of my Primp Your Stuff Wednesday linky party! My favorite thing in her shop is probably the "Vintage Teapot Tarnished Silver Ornate 1881 Rogers Canada". Although, the gas can is actually a close second :) Would love either of those!! The things in her shop are so pretty! My favorite is the vintage silver bowl/plate stand! I liked on facebook and also became a follower. I love the milk glass bowls as well...they would look awesome in my kitchen! 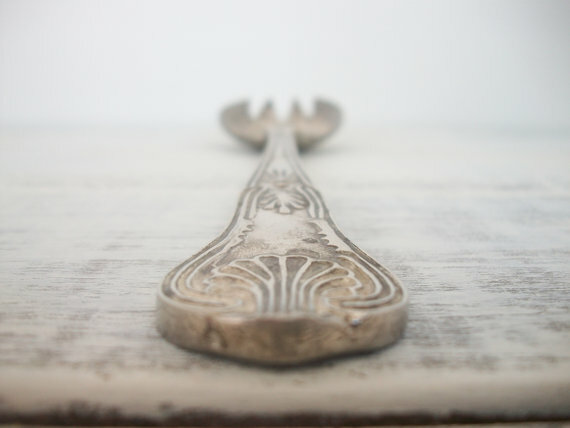 I am a follower and my fav etsy item is the Long Silver Serving Tray.. I am now following Rhetts blog.. going to go check it out further!! also liked rdgad on facebook.. The fishing tackle box is my favourite! Thanks for the introduction to RDGAD! I can tell she is going to be one of my new favorite blogs! I am now a very happy follower! 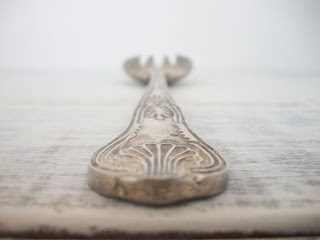 As silver anything has become a passion, I would love to win the silver tray! And my favorite thing from her etsy shop is . . . you guessed it . . . her vintage silver pedestal candy dish. Count me in please! I 'like' her on FB. I really, really do! I visited her Etsy shop and I really love lots of things there but for some reason the fishing tackle box tugs at my heartstrings!! I like RDGAD on FB! I LOVE the vintage blue pyrex set on her Etsy shop! Oh that platter is beautiful!!! Oh you weren;t joking about her styling and photos at her etsy shop! Really loving the little mouse, so cute! I am already a follower of RDGAD! I like RDGAD on facebook! Katy A. My favorite item from RDGD's Etsy shop is the Vintage Teapot Tarnished Silver Ornate 1881 Rogers Canada. My favorite item in the shop is the Folding Stool Chair Canvas Seat Navy Blue. I'm a follower of the blog Rhett Didn't Give A Dam on GFC as Mandy and Justin. I love the vintage tarnished teapot!!! I love the teapot! Love! I follow RDGAD! And oh my...what a great giveaway! I heart the vintage blue pyrex from her shop....Thanks so much for the chance at this great giveaway!! I adore the Vintage Pewter Cups Glasses Silver Shabby Wedding Decor! I am a follower of RDGAD using GFC. I am following RDGAD on Facebook. I really like the Silver Trimmed Bowl Trinket Dish Mad Men. 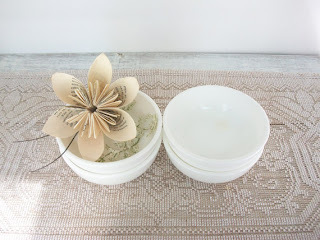 i'm following rhett didn't give a damn's blog via gfc as kate s.
Such a lovely shop!! I made it an Etsy favorite. I'm swooning over that fish bowl!! I love the Vintage Teapot Tarnished Silver Ornate 1881 Rogers Canada! I love the galvanized fuel can! Favorite item is the Mouse Brass Country Decor Cottage Charm! Thank you for the introduction to this wonderful shop and blog! I appreciate that as much as the giveaway. I am a new follower at Rhett Didn't Give A Damn. My favorite thing in the shop (and it wasn't an easy decision) is the trio of silver nesting bowls. So classic, so elegant. My fave from the shop is the Mouse Brass Country Decor Cottage Charm. I LOVVEEEEE Hollywood Regency Style Tall Pheasant Autumn Gold!! This piece has such character. thanks for all the comments--this giveaway is now closed!